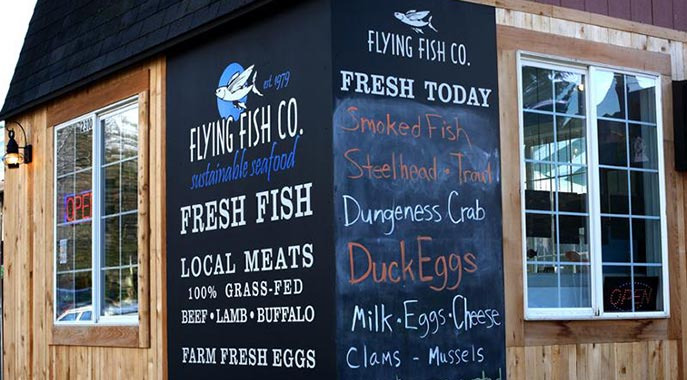 Flying Fish - sustainable seafood & more: Support us with edible credits. 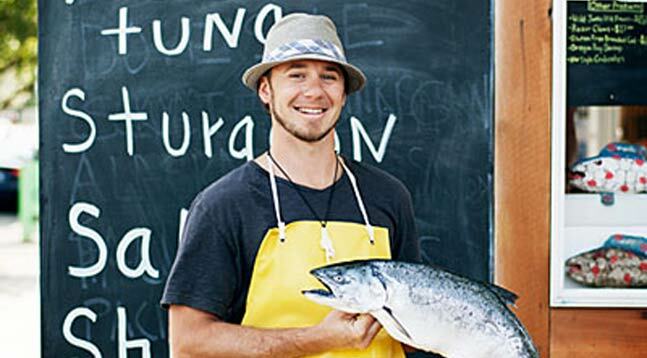 Fresh, local, sustainable seafood, local grass-fed and finished meats, local farm eggs, and house-made smoked salmon. Grass fed and finished meats include beef, lamb, buffalo, elk, venison, and goat. Pasture raised meats include pork and chicken. Other local products include Jersey milk, Organic goat cheese, pickles, salami, spices, sushi supplies, cookbooks, and more. Flying Fish is improving our commercial equipment to keep up with current demand. We need a new commercial fridge for the retail space, vacuum packaging machine for processing, and smoker for the smoked salmon and bacon. Please help us grow! Is there another favorite food business you'd like to see supported with Credibles as well? Please let me know as soon as their Credibles are available.